You may be on an uphill climb right now. You're struggling to piece together victories, small success you can build on. I’m here to help you not only achieve those successes, but notice some wins you may not have even been counting so far. Winning and losing are both habits. The more you do of either, the stronger your brain associates with them. The more you win, the brain reasons, the more important winning must be. So let’s find more ways and reasons to win! Trouble is, every time you recognize a loss, you Today’s show covers how to win more, and make it not only a habit, but a lifestyle. --- Listen on: iTunes | Stitcher | Soundcloud | Google Play | Overcast | Pocket Casts | Bluburry | Player.FM Comment on this episode! 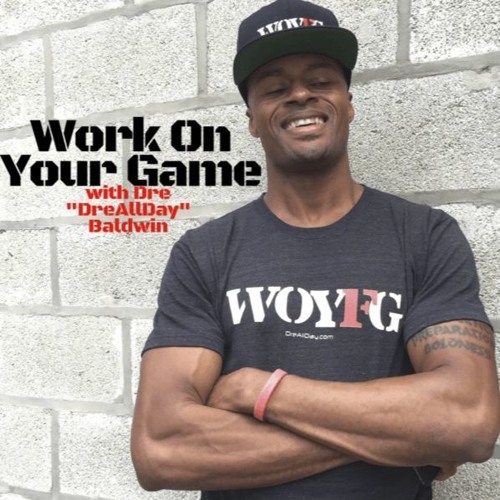 [https://dreallday.com/getting-little-daily-wins-woyg-podcast/] Show notes, comments and links for all episodes can be found at http://DreAllDay.com/Podcast Direct mp3 download: [https://soundcloud.com/drebaldwin/206-getting-those-little-daily-wins?in=drebaldwin/sets/work-on-your-game-podcast-with] Learn more (much more!) about Dre - basketball career & Guides, Programs, Speaking - at his website http://DreAllDay.com. Find me on social media: Instagram & Snapchat @DreBaldwin Twitter & Periscope @DreAllDay Be sure to SUBSCRIBE to have each new episode sent directly to you daily!